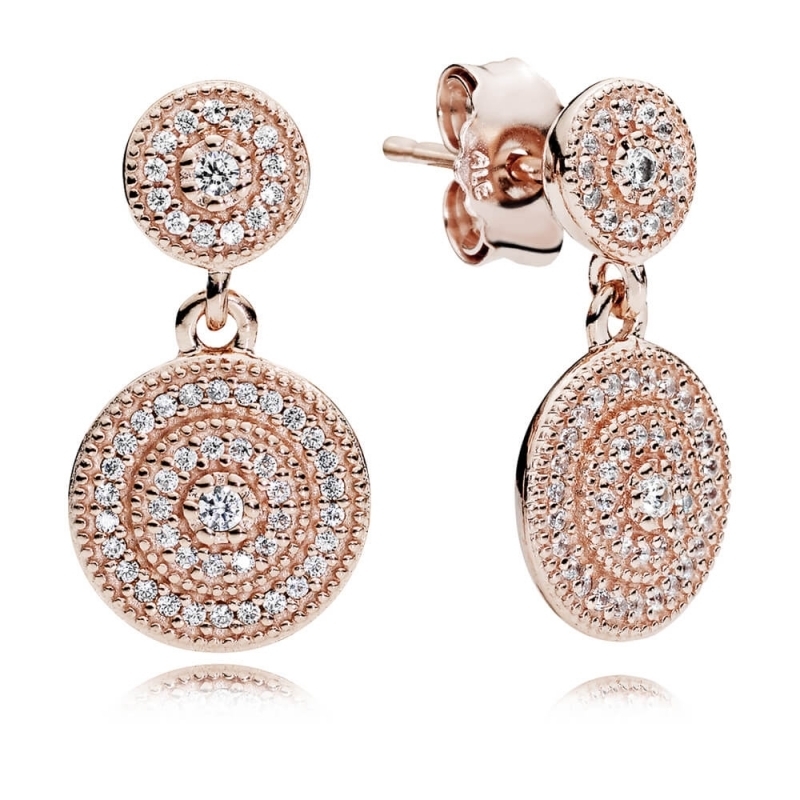 PANDORA Rose Radiant Elegance Drop Earrings. Drop earrings in a classic dual disc design. Thank you for your positive feedback. We're delighted that you are happy with our service.